Joab Houghton married Eliza Jane Carlisle in Nov 24, 1861 at Indianapolis, Mahaska Co., IA, USA. Albert Houghton married Sarah Margaret Murrow in circa 1880 mar 30 years in 1910. Mark Houghton married Mary Lelissa McMains in Nov 16, 1882 mar 17 y in 1900 census. Robert Amasa Houghton married Mary Susan Murrow in Nov 15, 1879 James Lowell Houghton: 15 nov 1881; w/2. Robert Amasa Houghton married Anna Yerian in circa 1900 mar 0 years in 1900 census. William Dye Houghton married Martha Jane Mayberry in Jan 1, 1867. 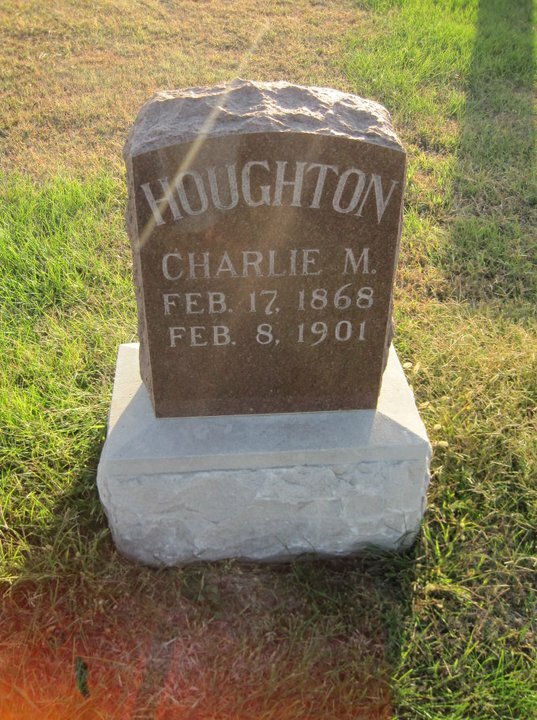 Charles Mortimer Houghton married Minnie May Nelson in Aug 22, 1894 at Norway, Republic, KS, USA. 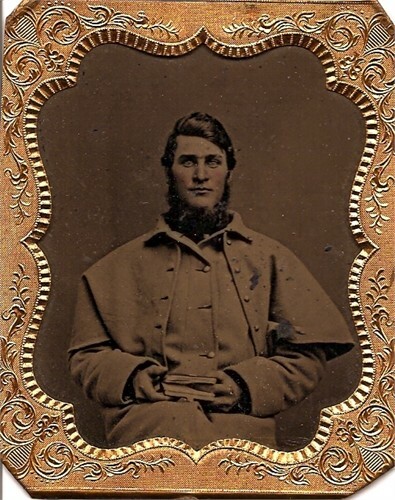 Nora Cook married Henry Bartlett Houghton, son of Nehemiah Houghton, in Apr 27, 1857 at Napa, Sonoma Co., CA, USA. 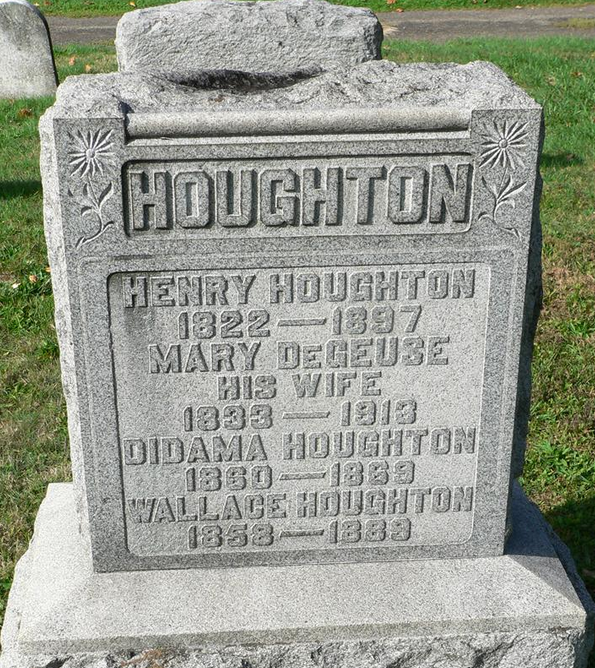 Henry Houghton married Mary DeGuese in Sep 13, 1851 at Owega, Tioga, NY, USA, at the Owego Central House. Cynthia Houghton married Harlow DeGues. Laura Houghton married Mr. (?) Ames. 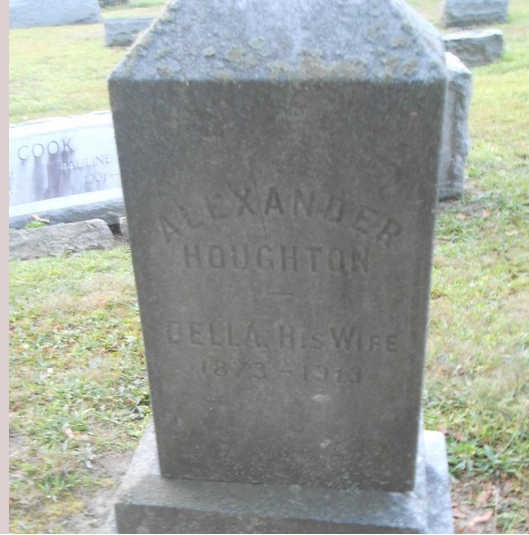 Alexander Houghton married Delphine Swartout in 1888 mar 12 years in 1900 census. Marriage Only Jean Colwell gives this marriage; He was married to Suzie Unknown. This information was gleaned from a Choctaw Indian request for citizenship. Leonard L. Houghton married Suzie (?) Only Jean Colwell gives this marriage; He was married to Suzie Unknown. This information was gleaned from a Choctaw Indian request for citizenship. Mr. (?) Ames married Laura Houghton, daughter of Otis Houghton and Lucinda Fessenden. Daniel Houghton married Cynthia Welton in Dec 25, 1816 at Bradford, Orange Co., VT, USA. 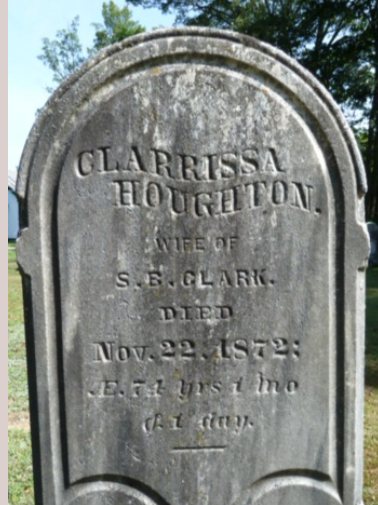 Clarissa Houghton married Solomon Bradford Clark in Mar 24, 1819 at Rockingham, Windham Co., VT, USA. Otis Houghton married Lucinda Fessenden in before Aug 1, 1820 in 1820 census of Aug. 1, 1820; No record in VT or PA. Her second marriage was to Elijah Lovell Jr circa 1819. Henry Lyman Houghton married Mary (?) in Jun 17, 1897 mar 12 y in 1910 census; her second. Ruby N. Houghton married Nathaniel Bradish Whitney in Mar 1, 1860.